Hyde Park – Lynn I. (Blass) Hoch, 65, a lifelong Hyde Park resident, died peacefully of Friday, January 25, 2019 at Vassar Brothers Medical Center after a long, courageous battle with cancer. Born on June 10, 1953 in Poughkeepsie, she was the daughter of the late Ronald Blass Sr. and Ethelyn VanWagner Blass. Her mother survives in Hyde Park. She was a 1971 graduate of F.D. Roosevelt High School. Lynn worked at Adam’s Fairacre Farms for many years. She loved to garden, spend time outdoors, and play with her grandchildren and great-nephews. 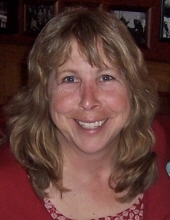 Along with her mother, she is survived by her daughter, Laura Hoch of Wethersfield, CT; son, Jimmy Hoch and wife, Marlena, and their children, Madison and Michael, all of Tampa, FL; brother, Robert Blass, and wife, Karol, of Stanfordville; and nephew, Jon Blass, and wife, Jillian, and their children, Ryan and Liam, all of Stanfordville. In addition to her father, she was predeceased by her brother, Ronald Blass Jr.; and nephew, Robert Blass Jr. In keeping with her wishes, cremation has taken place and services will be private. To plant a tree in memory of Lynn I. (Blass) Hoch, please visit our Tribute Store. "Email Address" would like to share the life celebration of Lynn I. (Blass) Hoch. Click on the "link" to go to share a favorite memory or leave a condolence message for the family.